With hitmaker Irv Gotti at the helm, Ashanti blasted into the urban music scene in 2002, topping the charts with multiple singles at once. She quickly became a sensation, gracing the covers of magazines and dominating urban radio. Ashanti built her reputation with duets, where she would complement an already popular rapper ? Ja Rule (“Always on Time”), Fat Joe (“What’s Luv?”), the Notorious B.I.G. (“Unfoolish”) contrasting the tough-guy male perspective with her own. It didn’t take the young vocalist long to make a name for herself though: her debut album topped the Billboard album chart just as her debut solo single, “Foolish,” was topping the Hot 100 chart. Ashanti’s overnight jump to superstardom followed that of Ja Rule, a similar urban music sensation helmed by Gotti. The New York producer took notice of Ashanti initially because of her beauty, dancing, and acting. She trained as a dancer at the Bernice Johnson Cultural Arts Center, learning a number of dance styles. She danced most notably in Disney’s Polly, which starred Phylicia Rashad, and also appeared in a number of big-name music videos, in addition to other dance work. As an actress, she made a name for herself with roles in Spike Lee’s Malcolm X and Who’s da Man before that. The multi-talented vocalist was causing quite a stir, and Gotti did what he could to bring her into his Murder Inc. fold. After showcasing her swooning voice on Big Pun’s “How We Roll” and the Fast and Furious soundtrack ,both in 2001, Gotti put Ashanti to work on her debut album, which he produced. Success came quickly. A duet with Ja Rule, “Always on Time,” hit number one on Billboard’s Hot 100 chart in early 2002 just as a duet with Fat Joe, “What’s Luv?,” was creeping toward the same number one position. These two airplay-heavy singles set the stage perfectly for Ashanti’s self-titled debut release. The album’s lead single, “Foolish,” raced up the Hot 100 chart, entering the Top Ten in March alongside “Always on Time” and “What’s Luv?,” giving her three Top Ten songs in the same week, including the number one and two positions ? a quite spectacular feat. And then Ashanti’s album debuted at number one on the album chart, selling an astounding 500,000-plus copies in its first week. 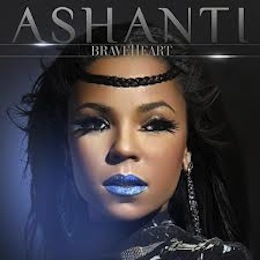 With all this chart-topping, Ashanti set some sales records and her success continued. Gotti readied a remix of “Foolish,” titled “Unfoolish,” that featured the Notorious B.I.G. and again overtook urban radio, where no artist was more omnipresent throughout 2002 than Ashanti. She returned the following year with Chapter II, which likewise topped the Billboard album chart on the heels of its hot lead single, “Rock Wit U (Awww Baby).” The album’s success was somewhat eclipsed, however, by all the negative drama surrounding the Murder Inc. camp at the time (i.e., the FBI investigation and the G-Unit feuding). A Christmas album followed late that year, and Concrete Rose appeared in December 2004. Though she remained with The Inc. for 2007′s The Declaration, she sought out a number of producers (including Robin Thicke, Pharrell Williams, and Dr. Dre) outside the label’s in-house team.